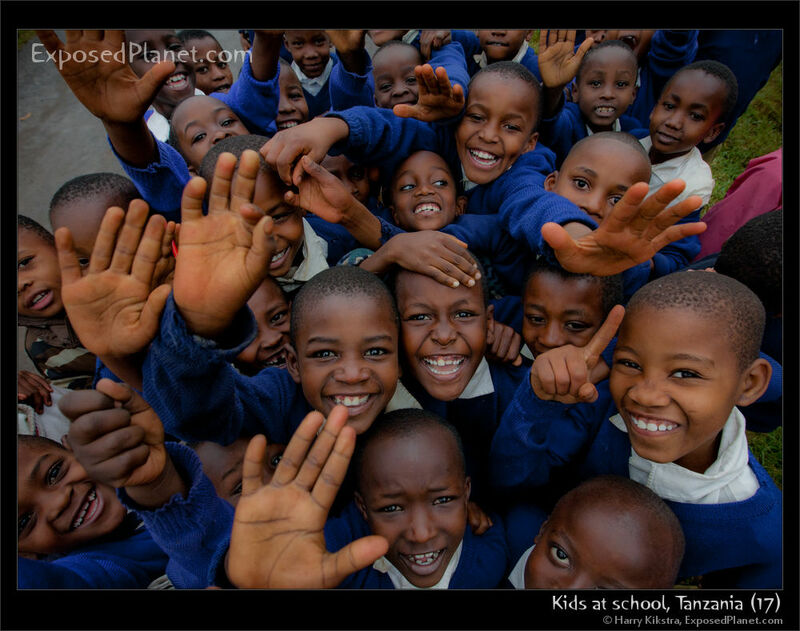 The story behind "School kids in Tanzania"
I was welcomed by a group of very enthusiastic children. In Tanzania, all kids have to wear the school uniform. Many kids go to primary school, but a large part does not make it to secondary school due to the high costs and often they are needed by the family to help on the land or in the shops. Also as most people have no electricity at home, children cannot study inside, or have to suffer the toxic fumes of kerosene lamps. I have started a new project with a good friend, aimed at empowering the children and families in a very simple but very effective way. Soon I will write more, but you can already take a look on our temporary website about the most affordable solar-powered LED lights available.